and the Polish National Radio Symphony Orchestra Katowice, he became in 2012 the Artistic Director of the Poznan Opera and in September 2015 also the First Guest Conductor of the Krakow Philharmonic. Born in Poland, Gabriel Chmura grew up in Israel , where he studied piano and composition at the Music Academy of Tel Aviv. He then studied conducting with Pierre Dervaux in Paris, Hans Swarowsky in Vienna and with Franco Ferrara in Siena, Italy. In 1971 he was the first prize winner in the Herbert von Karajan Competition in Berlin, as well as the Gold Medal at the Cantelli Competition of Milano’s “La Scala” . These victories led to extensive international engagements. 2012 he won the Jan Kiepura Prize for “ Best Operatic Conducting “ ( Shostakovich: Lady Macbeth from Mzensk ). 2013 he was awarded the title of Doctor honoris causa from the Academy of Music in Wroclaw ( Breslau ). 2017 he received the highest Polish award : “ Gloria Artis Gold “ for his contribution to Polish Art. 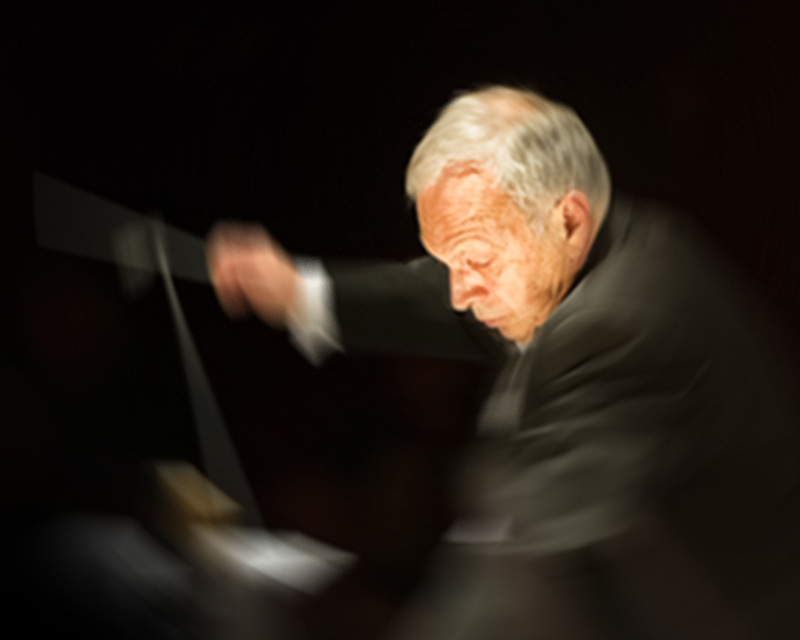 Mr. Chmura was appointed Music Director of the opera house in Aachen, Germany, in 1974 and retained this position until his appointment as Music Director of the Bochumer Philharmonic in 1983. In 1987, he was appointed Music director of the National Arts Centre Orchestra in Ottawa, Canada. With this orchestra he made extensive tours in North America, including Carnegie Hall in New York. In 2001, Gabriel Chmura was appointed as Music Director of the Polish National Radio Symphony Orchestra Katowice, and in August 2012, he became the artistic director of the Poznan Opera in Poland. He made his Munich debut in 1974 with “Othello” and was immediately re-engaged for “Carmen”. Further he conducted a highly successful “Samson et Dalila” in Barcelona, a critically acclaimed “Werther” at the Paris Opera and “Coq d’Or” at the Chatelet Theatre, Paris. With the National Arts Centre Orchestra of Canada he completed the “Da Ponte Cycle” ( Figaro, Don Giovanni, Cosi fan tutte) , Faust (staging by Robert Wilson) with the State Opera in Warsaw and lots more. G. Chmura has recorded with the London Symphony for DGG, and with the Munich and the Berlin Radio Orchestras for CBS. Schubert’s “Lazarus” with the Stuttgart Radio Orchestra, Hermann Prey and Edith Mathis on the “Orfeo” label received the “Grand Prix de Disque Mondial de Montreux”. His recording of Haydn’s symphonies no. 6, 7 and 8 with the National Arts Centre Orchestra for CBC was chosen as “Best Choice” by the American Record Guide and was nominated for the Canadian JUNO Award. With his orchestra (Polish National Radio Symphony)he recorded Mahler 1st and 3 CDs for the label Chandos of Weinberg music ( Symphonies IV, V , XIV and XVI ). With Warner Classics he recorded a album with Prokofiev and Weinberg V. symphonies.